To be able to understand how big on an issue this is, first you must know what is coolant and what is his mission. The coolant is a liquid what circulates through the cooling system in your engine with a mission to cool your engine so it doesn’t overheat. The coolant flows from the radiator, through the water pump into the engine block, where the hot engine gets cooled. 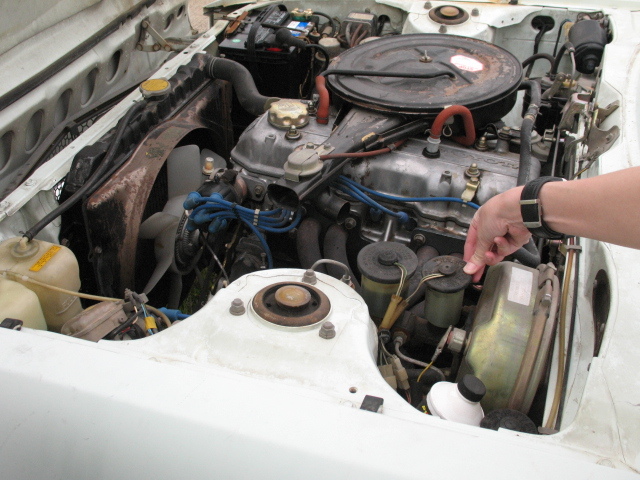 Then, it gets pumped out of the engine block, through the thermostat back into the radiator. The air that flows over the radiator cools the coolant. This is a continuous cycle. The coolant gets into the engine via the lower radiator hose and then with the help of the upper radiator hose it gets pumped back to the radiator. The hot coolant also gets pumped into the heater core where a fan blows over the heater core and that provides heat for you in the cabin. For most cars, coolant is a 50-50 mix of water and antifreeze. The antifreeze lowers the freezing point of water and prevents the engine from freezing and cracking in cold weather. At that 50/50 ratio, you’re protected a negative 34 degrees Fahrenheit. The coolant also protects the engine from heating up too much and creating air pockets. So, at that 50/50 ratio, you’re protected to 265 degrees Fahrenheit and when the engines running the cooling system’s pressurized which further increases the boiling point. Most cars have a pressure limit of 15 psi, and the radiator cap has a built-in purge which alleviates the pressure in case of it built higher than that. Antifreeze contains chemicals that prevent rust and prevent acid conditions. When antifreeze is bad, it turns more acidic and has irons which promote electrolysis and that eats away the metal in the engine, and that’s obviously bad. Bad antifreeze can also degrade gaskets. Old coolant will not do a great job at protecting the engine from freezing and boiling. Visual Test. For the visual test, you’re going to open up the radiator. Check the back side of the cap and look for sludge which could be an indication that the coolant has gone bad. 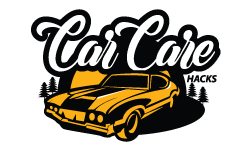 Your radiator cap should be clean and dirt free. Look inside the radiator and see if there are any gunk and buildup and stuff which isn’t good and the radiator fluid. Now, you can’t always get a good picture from checking out the fluid in the radiator, so what you need to do is check out the coolant reservoir. Some vehicles only have a coolant reservoir, which is fine. With a turkey baster get some of the coolant out and perform a visual inspection. Also, don’t forget to check your owner’s manual to see when your coolant should be changed in your car. Typically, coolant last three years or 36,000 miles and some coolant last up to five years and 150,000 miles. I usually perform a test once a year. Hydrometer To Check The Specific Gravity Of Your Coolant. This test is going to tell you up to what temperature the coolant is protecting on both the freezing side and on the boiling side of the temperature scale. All you have to do is fill a cup with coolant and put the needle in the cup. The needle will float based on specific gravity to a certain reading and then you just read it. You can get your coolant from the radiator or the reservoir. There’s going to be bubbles causing the arrow to float, so you just want to tap the hydrometer until all the bubbles come off of that float. Make sure you get the Celsius and Fahrenheit reading straight. The readings should be around negative 34 degrees Fahrenheit for freeze protection and up to 265 degrees Fahrenheit for boiling protection. Anything that is less than those readings, you need to change your coolant. A Multimeter Test. This is a test to see any electrical current that might be in the coolant which will identify any electrolysis. So, just set your multimeter to 20 DC volts and place it in the coolant. You can go through your radiator cap or you could go in through your coolant reservoir. With the engine off, get a reading by sticking one of the leads into the coolant and the other lead onto a ground. Now, you want to see a reading of 0.3 or less. If you see a reading of 0.3 or higher, you have too much of an electrical current running through your coolant. What voltage in your coolant means is that there’s an exchange of electrons between metals in your engine and your cooling system, which will slowly eat away and corrode those metals so much so that you could actually get leaks in the gaskets and hoses because they won’t seal properly anymore. A pH Test. This is a very simple test. You can use an electronic pH reader or a test strip. When testing your coolant, you want to have a pH reading between 8.5 and 10. So, that’s basic. Remember a pH reading of 7 is the middle, below 7 is acidic, and above 7 is basic. So, a pH level below 8.5 means it’s time to start thinking about changing your coolant. Any pH reading of 7, or below, definitely means that you need to change your coolant because the acidic coolant will eat away your gaskets such as your head gasket, and also eat away your rubber hoses. So, all you’re going to do is just dunk the strip or the reader into the radiator, pull it out and match up your color to the color that’s on the test strip. 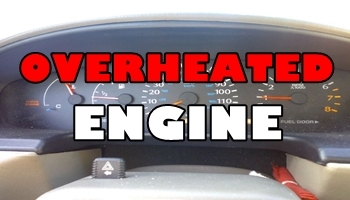 A clogged heater could lead to engine overheat. That’s why I’m going to show you how to flush your heater course safely using a garden hose. The reason why you would flush your heater core is that when you have the heat on, you put the fan on and the engines are warmed up, but, you’re not really getting much heat. At this point, you could be getting little hot air, or not at all. Now, if you turn your vents on for defrost, or you turn your vents on the floor and you see steam coming out, or if you smell antifreeze that means you have a leaking heater core which can lead to overheating which is never good. If that’s the case you need to replace your radiator. Flushing that heater core out is only gonna make things worse. But, if your heater core isn’t leaking, and you’re not getting the heat that you want to get, you don’t think it’s hot enough, or it’s not hot at all, give this a try. Go up to your engine to locate the heater hoses. They are usually located on the passenger side, or in the middle of the firewall. There should be two hoses connecting to the firewall. Find the inlet hose and the outlet hose. We are going to have water running into the outlet hose, and coming out from the inlet hose. We are going to do a reverse flush. Push the water in through the outlet hose. The reason why you’re gonna do that is because the coolants always running the normal direction through the inlet hose. So, if you reverse flow it, you’re mixing things up, you’re you’re flushing things out. Please make sure that your engine is cold. You do not want a hot engine. Grab your water hose and connect your flush kit (grab yours on amazon.com). The flush kit is around $5 but will do a great job. Disconnect the inlet and outlet hose. Be careful so you don’t damage the hoses. Connect your water hose to the outlet hose. Grab an extra hose and connect it to the inlet hose. This hose will serve as a drainage, so all that dirt that was in the heater will come out from this hose. Have a bucket ready. Before you flush the heater, make sure not to overload it with pressure. Most heaters get maximum 10 PSI pressure from the water pump. Turn on the water and flush your heater core. Put a funnel in the outlet hose and fill it up with antifreeze so that we don’t have any water. Maintain a 50/50 mixture. You don’t really have to do this step, because even if you just leave that water in the heater core, such a small amount will just mix with the rest of the coolant in your cooling system, and you won’t even notice the difference. So, once you get some green fluid coming out of the inlet hose, you are done. Make sure you use the correct antifreeze that is recommended in your owners manual. Disconnect your drainage hose and water hose and connect the reconnect your heater hoses. Coolant Leak: The water pump has a lot of gaskets that prevent the coolant from leaking and making sure it has a consistent flow from the radiator to the engine. Over time, these gaskets will loosen up and break. When the gaskets break, the coolant will leak when it reaches the water pump. The water pump is located on the front side of the vehicle, so the leakage should be located there. So, if you notice a leakage there, take your car to a professional. Whining Sounds From Water Pump Pulley: This is pretty easy to diagnose. If you notice any whining sound that comes from the front of your vehicle and gets louder when you hit the gas pedal, its the water pump pulley. This happens because of a belt that has become loose due to faulty bearings from the water pump. This issue cannot be repaired. The water pump has to be replaced completely. Engine Overheating: When the water pump stops working, the coolant is not circulating throughout the engine. This can cause the engine to overheat and you will end up with paying enormous mechanic bills. From time to time, check your temperature gauge. If the temperature starts to rise higher than the normal operating temperature, take your car to the mechanic immediately. Steaming Radiator: If you notice a steam coming out from your engine as you drive, pull over and call your mechanic. This means that your engine has overheated and it is a bad idea to drive further. As I said before, without an operating water pump, there is no circulating coolant and the engine will overheat by default. Leaking Coolant: This issue will cause the coolant to leak from below the intake or exhaust manifold and this only happens when the engine has reached the working temperature. This could be a little bit tricky to identify because there are too many hoses around the head gasket. There is a trick that will help you. Add a UV dye into your coolant radiator or reservoir and then grab a UV light. You will be able to see if the liquid that is leaking is your coolant and where is it coming from. White Smoke: Another sign that you have a blown head gasket is white smoke coming out from your exhaust. The white smoke appears because a head gasket leaks the coolant into the combustion chamber on every intake stroke. If the leak is large, you will be able to see white smoke coming out from your exhaust at all times. Bubbles In Your Radiator: When a head gasket is blown and leakage is created, it allows exhaust gases to mix with the coolant, therefore it will create bubbles in your radiator. So, open your radiator cap while your engine is cool, then start your engine and wait for it to reach the running temperature. After that, see if you have any bubbles coming out from the radiator. Overheating Engine: This actually happened to me. I took a 2000km road trip. On the way back I was so tired that I disregarded the dashboard and I wasn’t able to see the engine temperature rising above the normal. I ended up on the side of the road, with an overheated engine, 1000km away from home. I called a tow truck which took my car to the mechanic. The mechanic said that my engine was lacking coolant as the head gasket was blown and was leaking the coolant somewhere. The engine temperature has risen more than the metal components of the engine could withstand and they warped. If you have some of the head blown gasket symptoms make sure you are not driving your car very much. You could drive it on a short distance, but you will have to add coolant as it would lose it during driving. If you let your engine to overheat, the metal head or engine block could crack and warp and you will have a huge mechanic bill to pay. Mix water and coolant at 50:50 ratio and pour it into your radiator and reservoir up to the top. 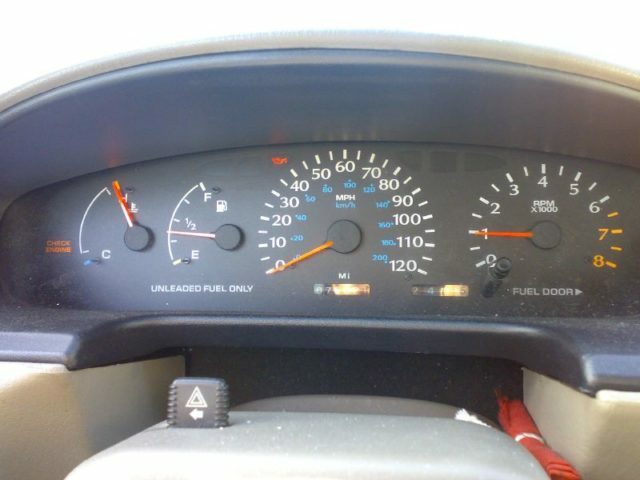 With your radiator cap off, turn on the engine and leave it for 15-20 minutes. What you are doing here is you are letting your engine to get to the running temperature and getting the coolant to circulate. You will notice that your coolant level is reducing as the air gets bled out. Every 2,3 minutes go to your dashboard and observe the temperature, or have someone sit behind the wheel and watch it throughout the whole process. After your coolant levels get stabilized, refill the radiator for the last time. Change your radiator cap. Maybe you got the air pockets from your radiator cap in the first place. Replace it with a brand new. pressure behind a catalytic converter, then it’s the muffler that’s clogged up. That could happen because if a catalytic converter gets so bad sometimes that pieces of it will break off and then go back and jam up and plug up the muffler. Catalytic converters do go bad on cars, but they’re relatively expensive and you just don’t want to guess, you want to test to see if it’s really bad. That’s where the OTC exhausts back pressure gauge comes in very handy. When catalytic converters go bad, they clog up the exhaust system and build up way too much pressure, and you can easily test the pressure with this cool little gauge. Simply unbolt the oxygen sensor that’s in front of the catalytic converter and take it out. Push the gauge in with a rubber adapter to measure the pressure. On newer cars, the oxygen sensor has a thread that screws all the way in. Start the car and monitor the readings. The readings should be between 1-1.5 PSI. Anything above that shows that you have a clogged catalytic converter. Open the radiator hood and start your engine. Look closely at the coolant, make sure it is not moving. The reason why the coolant shouldn’t be moving is because when the engine is cold, the thermostat should be shut off, and the coolant should bypass the radiator. When your engine gets at half of its running temperature, observe the coolant. At this point, the coolant should be swirling vigorously because when the engine is warm(not hot) the thermostat is opened up and allows the coolant to go through the radiator. The last test could take you 5 minutes or 20 minutes. Start your engine and see how much time it takes to get up to the running temperature. Turn on your heater. If you don’t get hot air within the first 5 minutes, it means that the thermostat is open all the time and coolant is flowing all the time causing the engine to get up to running temperature longer. The thermostat itself is not expensive but if faulty, it could cause a huge damage to the engine. You could also remove your thermostat and test it, but I wouldn’t risk it, I would just replace it with a brand new. I hope this article will help you identify your issue. I am not a mechanic myself, but I did my best to do a online research and verify it with my friend who is a mechanic. The bottom part is, these test can be performed at home and don’t require extra skills. Make sure you do these tests every 3-6 months to make sure you have a healthy engine. If you ever had an overheated engine, please share your experience in the comments.